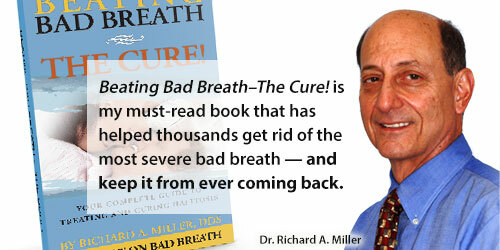 According to Scientific American, chronic bad breath is estimated to afflict about 25% of the U.S. population. Currently, that’s about 75 million people. However, not all those afflicted have a level of halitosis that requires professional treatment. This article reveals three easy ways you can tell if professional treatment for bad breath is your best course of action. Bad breath, or halitosis, is caused by bacteria that live within the tongue coating and under the gums. These bacteria, termed “anaerobic” since they live without air, release volatile sulfur compounds (VSCs) as waste products from their metabolism of the foods they live on – dead skin cells sloughed off in the mouth, dead blood cells from the gums, debris, proteins, and mucous – all found in the layers coating the tongue and under the gums. In effect, they create their own ecosystem and act as a separate “living organism”. In people with bad breath, these ecosystems (tongue coating and under the gums) are highly active, producing volatile sulfur compounds and bad breath at an alarming rate. So, how do you know if you need professional treatment or personal treatment for bad breath? 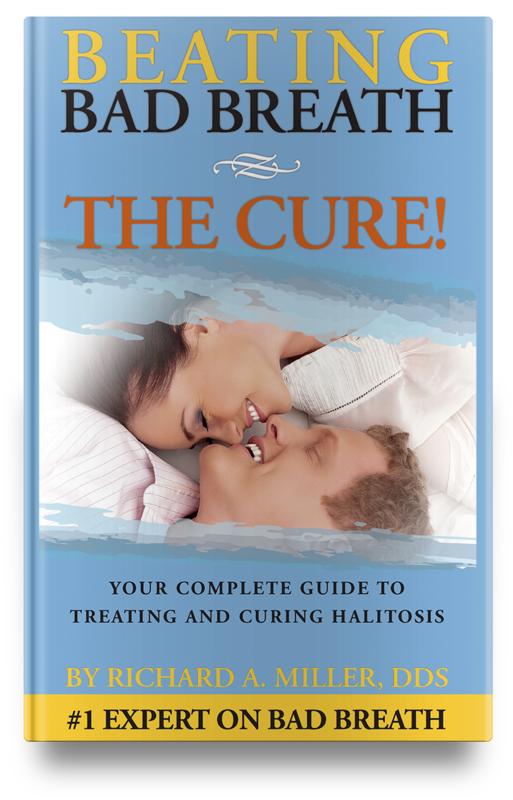 Based on over 20 years of treating and curing people with chronic bad breath there are several ways you can tell. First, how effective is your self-treatment? If the odor returns one to four hours after your personal treatment, or, if you are constantly using breath mints, sprays, gums, or even mouthwash during the day, you have chronic bad breath and professional treatment is your best option. Another way to tell is by the length of time you have had a breath problem. Many people have been living with bad breath for years. Because of the accumulation of tongue coating over that period of time, some people find that mouthwashes and other breath treatments do not work as effectively as they once did and need to repeat their self-treatment more than once during the day. Again, that is an indication of a chronic problem that can be eliminated with the proper professional treatment. Also, don’t forget the reactions of other people. For many people with chronic bad breath, no matter what they do, people still cover their nose, turn away, avoid them, or offer them gum or mints. This is a sure sign that self-treatment is not working. To test yourself for the effectiveness of your current breath products, try the gauze test. Related article: Learn how to use the gauze test — the most effective self-test for bad breath. Just remember that even if your current self-treatment program is working, you should test its effectiveness periodically as the continuous accumulation of bacteria and tongue coating may cause you to need professional treatment in the future.